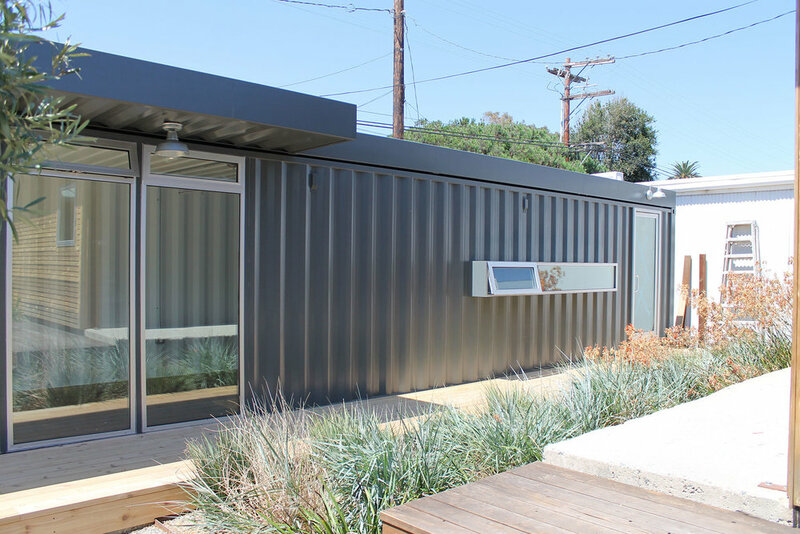 The client's need for growth was the driving component for the Office Pod container project. 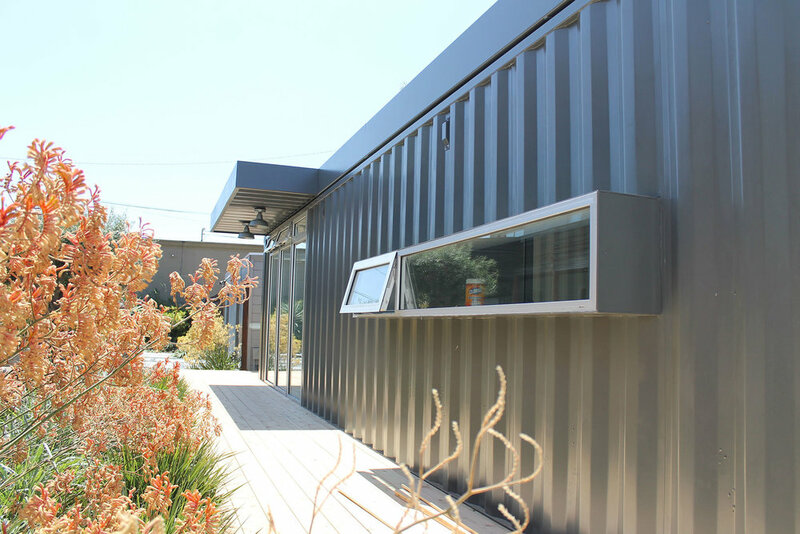 This project was designed with the use of one 40 foot recycled shipping container, re-purposed into a small office within an existing office courtyard. 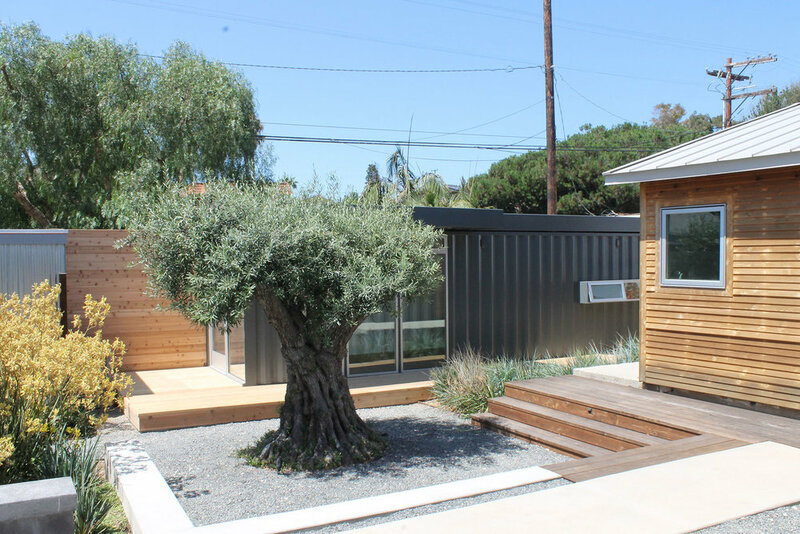 The 40 foot container was divided into two (160 sq.ft.) private office spaces, each with private entry/exit doors. 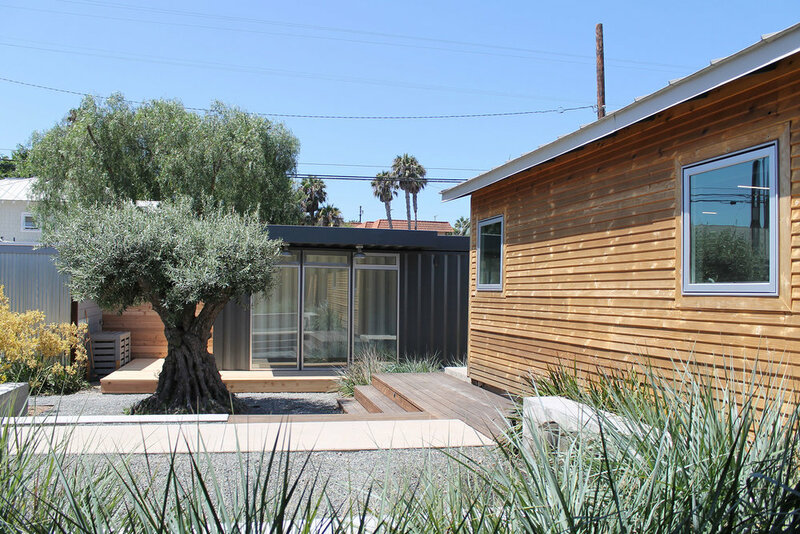 We incorporated a green roof into the design to mitigate interior heat gain as well as provide a natural landscape aesthetic that adapts to the surrounding courtyard context. 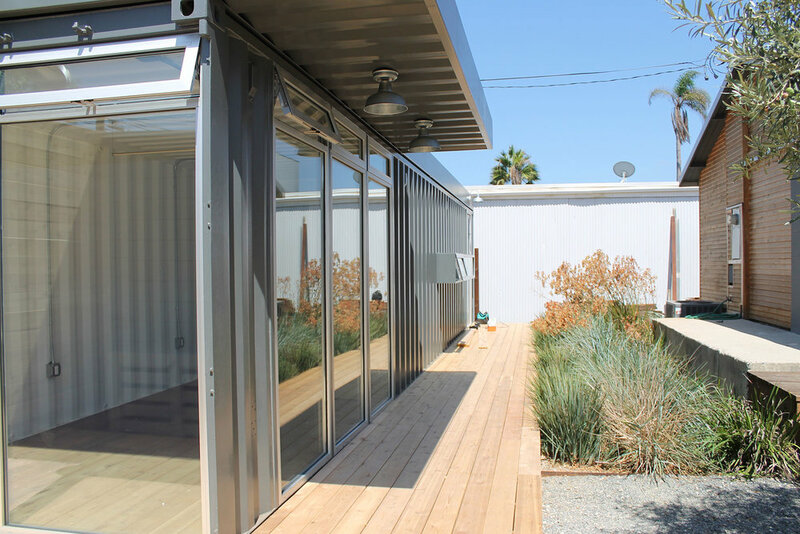 Exterior windows differed on each end of the container, creating a unique experience for the two private offices on the interior.